Different levels of lighting literally create variations of light and shade, and thus, different levels of emotions. Although your reading corner should be near natural light, add a regular reading lamp to build atmosphere. Ensure workspaces are brightly lit but illuminate special displays with soft, gentle lighting to help draw attention to the space it helps define. Christmas lights can add sparkle to displays all year round. 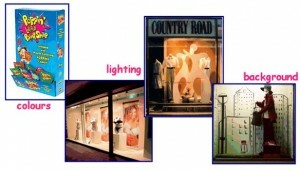 Music and sound effects can also add atmosphere to a display, but keep the volume low out of consideration for all users. Commercial bookstores have incorporated coffee bars because they know the invitation of the smell of hot coffee and home-cooking but this is probably not a practical option. Researchers have also looked at the role of smell in stimulating the brain and aromatherapy is now making its way into classrooms. But think of those with allergies – even a simple vase of fresh flowers can be a trigger. Use objects that the students can touch and investigate so the display becomes interactive. A small display of a book or a puzzle where students line up for check-out can engage the imagination and ensure appropriate behaviour in line. Think of it in terms of the magazine or lolly displays at the supermarket check-out. Place your returns box and checkout counter near the main exit but allow enough space for one class to be coming in while another is checking out. 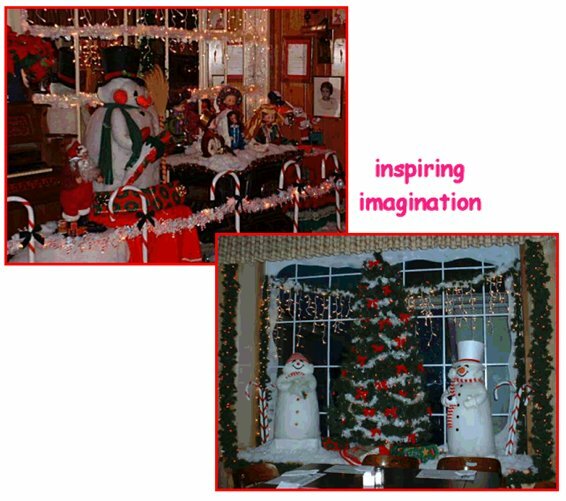 Have an enticing main display near the entrance to not only to attract visitors but also give those waiting in the checkout queue something to look at and maybe borrow. Books placed here can increase circulation exponentially. Be aware of traffic aisles, especially those to emergency exits. Watch where your students go as soon as they come in and make sure the pathway is wide enough. If you want to highlight a ‘slow’ section of your collection, make the display near this pathway. Hard floor surfaces are used where customers are moving from one section to another, but to encourage browsing, carpet is used. If you have a special area where you want the children to linger longer, add a rug on top of the carpet. Use short, low shelving to maintain the feel of openness and create extra area for signage and displays on the ends. In the elementary library, no shelf should be higher than the youngest child can reach. Stools and steps invite accidents but if you do have tall shelves, put these near walls. Consider using the top shelves for displays only. Include a “Recommended Reads” section near your circulation desk to temporarily house the students’ current favorites, and slip a card in the cover saying who recommended it. Look at the displays in shop windows. Analyse what attracted you, how it is constructed and how you can adapt it. All resources on display must be able to be borrowed at the time so the child’s curiosity can be satisfied immediately. Select topic which can be supported with plenty of resources. Cover large boxes with fabric to increase display space and present books between eye and waist level. Look at using everyday materials in different ways. Calendars are an excellent source of pictures for country landscapes, artists’ works, theme timelines, animals. Buy them in mid-January when they are heavily discounted. 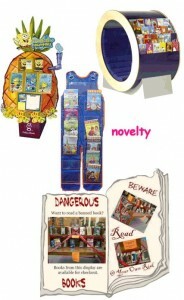 Some displays can be semi-permanent such as a Happy Birthday display. All you have to do is change the subject and add appropriate resources. 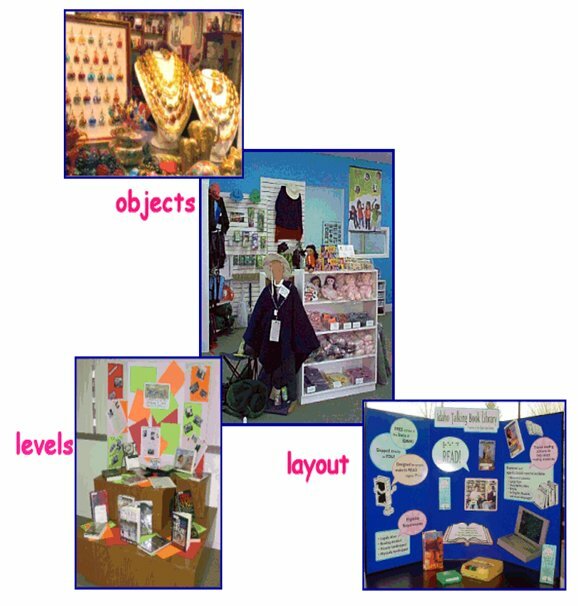 View your displays as presentation models for students so they learn what elements are important and how they can be arranged. Always give your display a catchy title and consider music and lighting. Remember your imagination is your best friend and closest ally.